The tourism industry is arguably one of the most important sources of income and foreign exchange for the global economy. However, national and international crises have huge negative economic consequences since tourism is especially vulnerable to crises & disasters and, being fragmented, often its response is difficult to initiate and coordinate. Tourism is also information intensive and when in crisis its information needs are increased. Destinations are extremely vulnerable to public perceptions of health and safety and need knowledge for responding successfully though effective response, recovery, and resilience strategies. To this direction, social media have already proven their value to many destinations, not only to promote some of the world's most popular tourism campaigns, but also as a powerful tool in their toolbox when dealing with a crisis. Surprisingly few destinations, however, have included social media into their strategic communication frameworks – even those that have sophisticated crisis management protocols in place. With the scale and abundance of recent crises, effective response through social media has become a highly topical issue within the tourism industry. However, while leading DMOs, industry bodies and destination marketing professionals advocate the introduction of digital media into risk/crisis management strategies as a means to better respond against adversity – the operational capacity and efficient reaction of any destination is only truly determined in conditions of pressure. 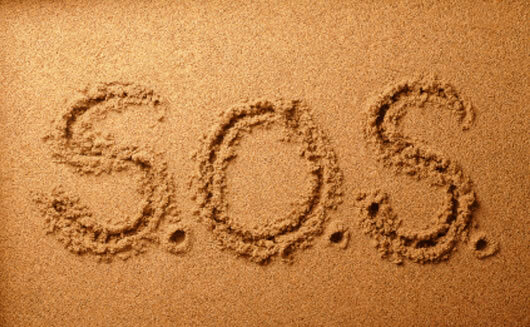 The experience of recently crisis badly affected destinations such as Thailand, Greece, Iceland and the Gulf Coast provide an opportunity to examine destinations’ social media response strategies and the common objective of destination brand recovery. Thailand and Greece are two significant tourism destinations, which have had the misfortune of experiencing their reputations as tourism destinations suffer as a result of heavily-publicized episodes of politically-motivated violence. In Thailand, nearly three weeks after the army crackdown on anti-government protests, many continue to use the Web as a convenient place to unload their emotions and thoughts about one of the most painful moments yet in modern Thai history. A political analyst and blogger who goes by the handle ‘Bangkok Pundit’ says that an "information deficit" had pushed people into cyberspace. The Thai Tourism Authority (TAT) was understandably anxious to restore tourism to Thailand, and its web site has done an excellent job in addressing the protest issue. However, TAT made the error of launching a mass-marketing campaign too early while protests and the military response were at their height. While it is true that most of the Red Shirt-related violence was confined to central Bangkok, the global perception built by media coverage and heavily cautionary travel advisories was that the entire country was dangerous. TAT needed to engage a recovery alliance, which includes media, key tourism stakeholders from source markets, airlines which service Thailand, and the national carrier Thai Air. As David Beirman (senior lecturer at the University of Technology-Sydney) successfully points out “Regrettably, TAT lost a lot of credibility from its overzealous mid-crisis destination marketing campaign so its will need to rely heavily on its stakeholders to be its messengers. TAT should certainly make a major effort to host travel-related media and opinion leaders among the tourism industry of its source markets to deliver a positive message to the tourism business and to consumers. On the other hand, the Greek unrest was relatively short-lived and almost entirely confined to the parliamentary district of Athens. The City of Athens Official Tourist Board (www.breathtakingathens.com) has managed to utilize its social networks immediately and provide real-time information about the incidents that were taking place at the time. On the contrary, the Greek National Tourist Board preferred to stay inactive throughout the demonstrations period without trying to inform travelers neither to promote Greece as a safe destination. The City’s tourism authority moved even further by actively promoting a Twitter hashtag – #ATHsafety – for followers to use and share information on the ground. In addition to that the interaction with followers was also carried over to the Breathtaking Athens Facebook page, where – once again – the organization posted links to news stories about the protests and also offered advice to visitors. Moreover, a new on-line campaign will be in place within the next two weeks to further promote the City’s USPs and its brand as a safe city break destination and an ideal base for island-hopping to the Greek archipelagos. On the same course, most of the US destinations which were affected from the Gulf of Mexico oil spill approximately seven weeks ago, are now starting to acknowledge the event after their initial hesitation. While the Florida Tourist board had a vivid reaction through the web by informing the travelers and placing pressure to both BP & the US government for helping them to recover, all the other affected states such as Louisiana, Alabama & Mississippi preferred to stay silent on the facts. (read the full article at: http://www.tnooz.com/2010/04/19/news/how-social-media-came-to-the-fore-in-the-european-ash-crisis/). 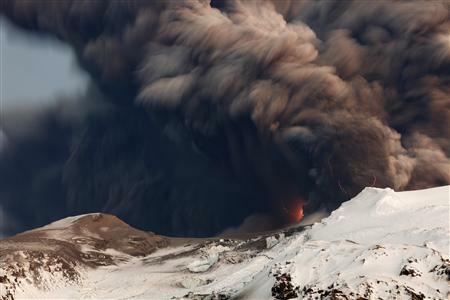 Unfortunately for Iceland, after the Eyjafjallajokull volcano erupted earlier this year, the number of visitors to the country dropped significantly. This dip in tourism has been the driving force for the “Inspired By Iceland” campaign which aims to boost the image of the country and its tourism industry. The campaign hopes to show the rest of the world that Iceland is still a safe place to visit and since the volcano eruption began only a small percentage of the country has been affected by the ash. Further to this initiative, At around 1400 GMT last Thursday (June 3), the residents of Iceland, Trade Council of Iceland, Tourist Board of Iceland and various other travel companies, such as Icelandair, logged on for an hour in support of the new "Inspired By Iceland" online campaign. Iceland’s 320,000 inhabitants have been using the Internet to send personal messages describing what they love most about their homeland and now they invite the rest of world to do the same. Yoko Ono, a long time fan of Iceland, also helped to urge people to back the "Inspired By Iceland" campaign via her Twitter and blog, as well as numerous other musicians and entertainers from Iceland and across the world. The campaign had a massive coverage from both web & traditional media and managed to draw back the attention to the country, but this time for a good reason. It can be perceived from the above that Digital crisis communications is a new aspect that needs added to a Crisis Management plan. Social media, blogging, and tweeting have proven to be viable, usable communications tools with far reaching uses- some of which are still being defined or refined. Having examined the aforementioned cases, it derives that in the digital world a) everything happens in a lightning speed b) people demand hyper-transparency c) dialogue is as important as message delivery and d) silence won’t handle a crisis. DMOs will need to carefully incorporate social media into their crisis management plans and make sure that they have appropriate and sufficient resources for this purpose. Many thanks for your comments. Many DMOs seem to realize the importance of social media in crisis mgt, however, most of these do not get the full picture and keep focusing their efforts on traditional media. Moreover, social media seem to be a field where even smaller DMOs can get their message out to the world and provide valid and reliable information about their destinations in real-time.